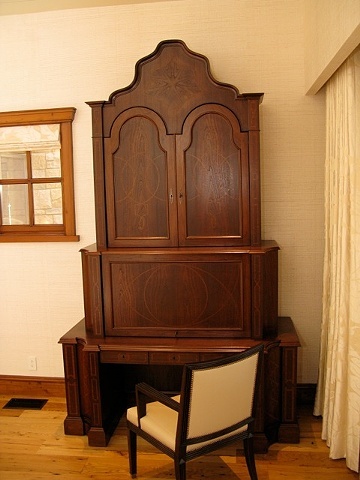 Armoire made out of Walnut and Afromosia solids and veneers. Upper section has one flip up door that pockets with shelves behind. Lower section to has knee space with three drawers. Entire cabinet has a stain with satin lacquer finish.